Regardless of goals or geographical location, One on One has a program and a price point for everyone. We start by helping you create realistic, manageable goals and support those efforts through intelligent fitness and nutrition programming. All of our programs begin with an Initial Consultation to ensure that we mutually have the tools needed to succeed. Our 30 years of experience has given us the unique ability to ensure all clients are successful from the very beginning of their program. This is our most structured and time-efficient fitness program. Personal Fitness Training clients commit to a series of twelve sessions, typically three to four fully-supervised sessions per week. These sessions can be performed either in our State College facility, your home, or at your office. Each session is prepared in advance based on your goals and feedback from your previous exercise session. Full-time interaction with your trainer makes this the most effective exercise program offered. The Associate Program provides the motivation, knowledge and skill of a personal trainer at a lower cost to the client. Following the Initial Consultation and Fitness Evaluation, Associate clients will complete three instructional training sessions with their trainer to learn their program. 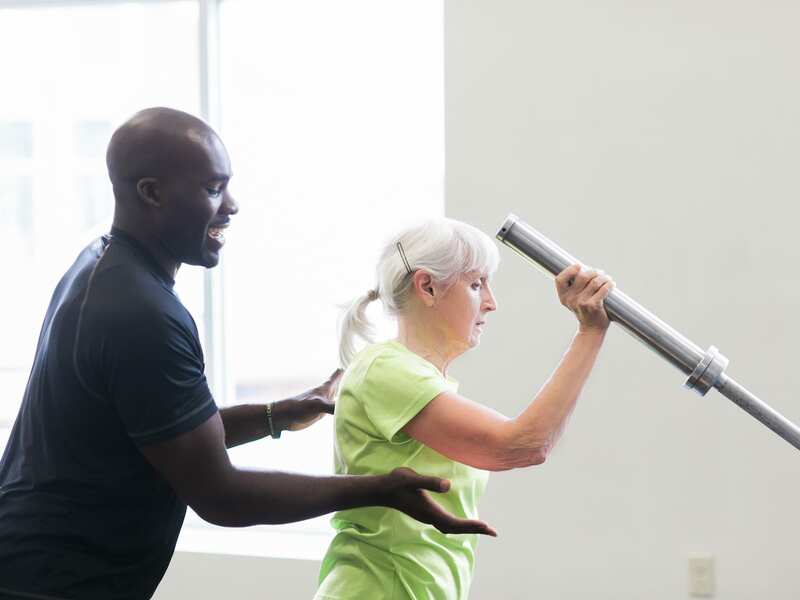 Then, after having an opportunity to exercise independently in our State College facility for one to two sessions, Associate clients will once again meet with their trainer to update their initial routine. They then meet with their trainer once per week and perform the remaining prescribed sessions independently at our facility. Under the leadership of a One on One fitness professional, 2-5 clients engage in specialized, dynamic small group training sessions. The specialization is what makes Small Group Training unique and excellent. Our team designs the program and delivers the training session for your needs. There is nothing “generic” about Small Group Training at One on One. One on One’s Group Training class is a fun, high-energy and creative exercise experience. Our goal is to challenge each group training participant appropriately through balanced training sessions that address strength, flexibility and cardiovascular fitness. Our professional instructors provide progressions/regressions for participants with different fitness levels and goals. Virtual Training provides One on One’s Personal Fitness program to clients who live outside of State College. Clients commit to a series of “Skype” sessions. Like all One on One programs, the Virtual Training experience is about more than just the workout. Let One on One create a fitness and nutrition program that you can implement anywhere…your home, office, on vacation…anywhere! We will teach you how to achieve your goals without spending thousands on equipment and be there to help you for the long haul. 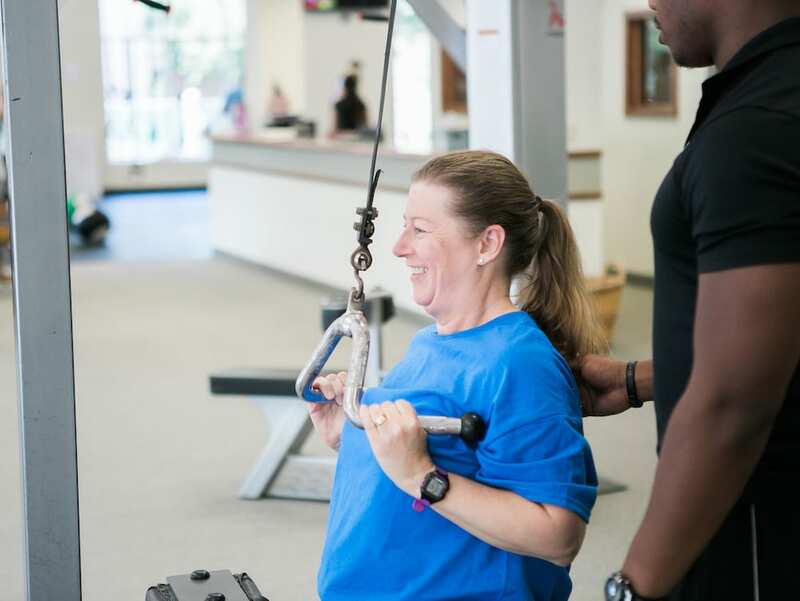 Let us help you get “fit for life” by helping you increase your strength, improve your movement and maintain a healthy weight. We help you prioritize your fitness goals and support those goals through daily practices and specific workouts. Our over 60 clients have a wide range of needs from seeking confidence to perform daily activities to recent retirees looking to play hard and enjoy their retirement. As we advance in years, there is a natural decline in many of our physiological functions. At One on One, our goal is to slow this decline by addressing balance, reaction, mobility, and strength. 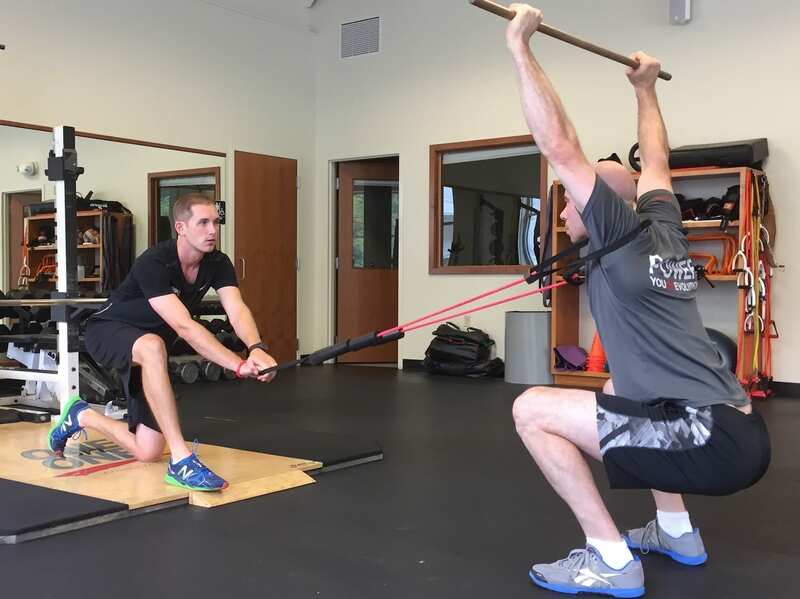 Our sports performance clients include both competitive and recreational athletes. Regardless of sport and level of competition, an effective sports performance program is designed for two outcomes: injury prevention and increased athleticism. Our athletes (from professionals to weekend warriors) can expect increased durability and enhanced performance. Consistent with our commitment to deliver more than just “workouts”, every One on One client has an opportunity to meet with our full-time registered dietitian. Our nutrition services are accepted by most major health insurance providers*.